A joint checking account is one in which all parties on the account have equal rights to access the account and the funds within it. They're common among married couples, family members and parents and their children. This account type is distinct from an account with an authorized user, which simply allows one party to use the account. Owners of joint accounts have equal rights, and one party can't close the account without the permission of the other party. Joint owners share equally in ownership of the account. This means that major decisions about the account -- including the decision to close the account, change the type of account or remove one party's name from the account -- require joint permission. This can pose a problem if one owner lives in another state or if co-owners disagree about what to do with the account or the funds in it. Joint ownership means that both parties have equal access to the funds in the account, regardless of who made the money or deposited the funds. Your co-owner can remove all the money from the account, withdraw more than his fair share or transfer money from the joint account to a personal account. There's generally no recourse if one owner takes more than his fair share from the account unless there's a contract governing the account. 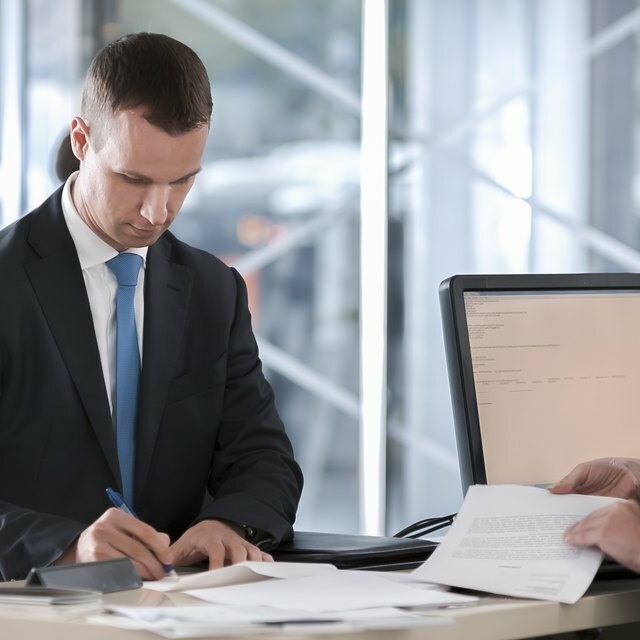 For example, if two business owners had a written agreement indicating that withdrawals in excess of $500 required written permission, one party might be able to sue the party who violated this agreement. If one owner of the account dies, full ownership of the account transfers to the other party. When the owner of an individual account dies, however, he must will his bank account to someone. The co-owner's right to the account supersedes the rights of any other family members, and because the funds are considered equally owned, will usually even override a will. Can Two Non-Related People Open a Joint Bank Account? What Is a Joint Tenant Account? The most important consideration in opening up a joint account is to choose someone you trust completely. Even then, it can be wise to draw up a contract governing how the funds will be used. Joint accounts can also affect taxes if the accounts bear interest, because both parties are co-owners of the interest. If you own an account with someone with whom you do not co-file your taxes, you might need assistance from a tax adviser. Nerd Wallet: FAQ -- Should We Open a Personal Joint Checking Account?